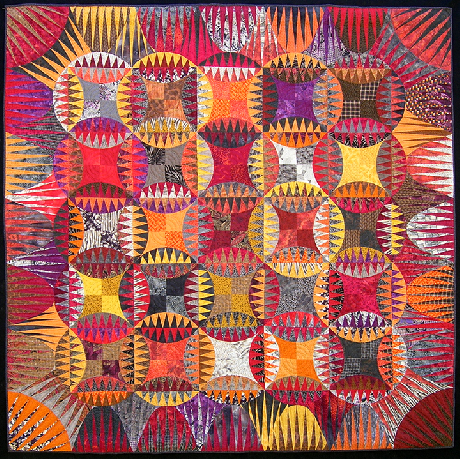 Based on Karen Stone"s Orange Peel, this quilt incorporates many warm reds and oranges. The placement of color and values make the circles fade in and out. 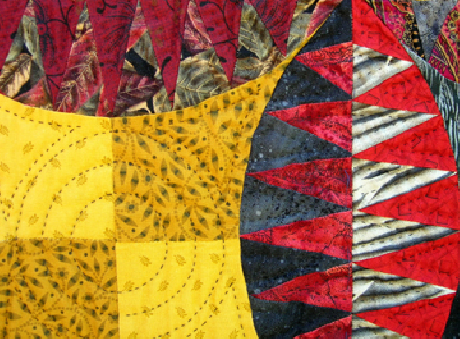 Machine paper pieced and hand quilted. 100% cotton fabrics, batting and thread used. 1999 Indiana State Fair, Indianapolis, In. First Place, Sweepstakes Award, Indiana Quilters Guild Award and Mountain Mist "Best of Show"